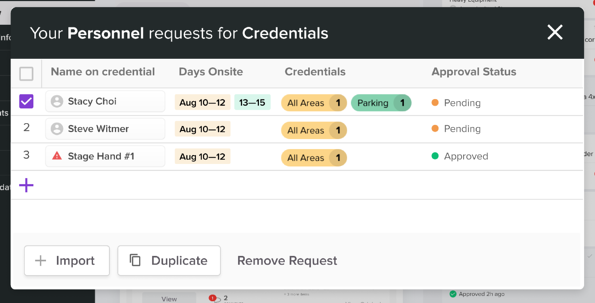 (Greenwich, CT) As part of an ongoing initiative to become more operationally efficient, the Live Event team at Townsquare Media has partnered with Lennd to streamline their credential management process and event operations. Country Jam (Grand Junction, CO), WE Fest (Detroit Lakes, MN) and Taste of Country (Hunter Mountain, NY). The Townsquare team will be leveraging the latest updates to Lennd’s pass management and credential system, event cloning function, vendor CRM tools, as well as Lennd’s self-setup integrations with Townsquare’s ticketing and RFID partners: Front Gate Tickets and Intellitix. Lennd will also be releasing a powerful new feature to allow large groups, vendors and artists easily import the names of their staff and guests in seconds. “We've been working incredibly hard to give our partners more functionality that is easier and easier to use. So, having a major organization like Townsquare Media choose Lennd as their partner, is another incredible testament to our technology, user experience and overall support. It also highlights Lennd’s ability to support organizations with multiple events.” said Chris Carver, Co-Founder & CEO of Lennd. “This partnership is another great indication of how a technology platform like Lennd is now becoming more and more accessible to event teams of all sizes and capabilities. That definitely wasn’t the case just a few years ago.” said Carver. Townsquare Media owns and operates a diversified group of leading radio, digital, marketing services, and live event properties across the United States.